Get that Project Off the Ground: Why Use S-5!’s Snow Guard Calculator? This is a two-part series featuring the S-5! Snow Guard Calculator. Step 1 covers exactly why it is imperative to engineer your snow guard system and to utilize our online calculator to get the job done. Below, we'll walk you through exactly the calculator's purpose. Then in Step 2, we'll explain exactly how to logon and get started! Your roof has been developing a perfectly rounded overhang of migrating snow right over your door. It glistens beautifully in the sun and seems to defy gravity as it gets bigger and bigger. But all you can think of is when it is going to fall. That is a smart premonition; because it will at some point. Snow avalanches can be unpredictable and catastrophic events. And the snow will fall wherever and whenever it wants to – on you, a loved one, your car or sidewalk. Snow retention systems go by many names in the industry. Roof snow fences, snow rails, snow stops, snow stopper, snow guards, snow clips, snow bar, and more. 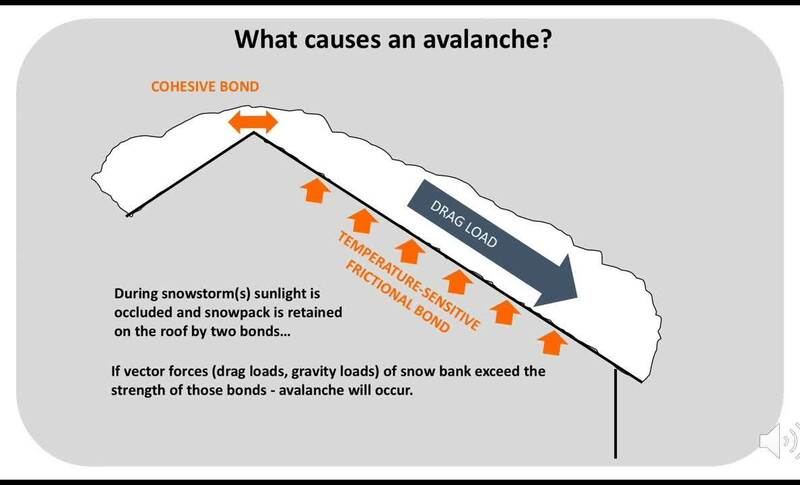 Regardless of the phrase, the intended purpose is the same: to reduce the risks associated with rooftop avalanches. By holding back the snow and encouraging it to leave the roof slowly through small amounts or melting, damage to walls and foundations can be reduced. Snow typically doesn’t slide off or melt in a consistent manner. A bond forms between the snow and the metal roof. As the roof warms, a thin layer of water begins to melt separating the snow from the roof. The result is when, not if the snow will fall. 1. The snow on the roof hasn’t fallen on me yet. Why expend the cost now? 2. I have a few snow stops up there already. Aren’t I covered? Improper placement of a few snow guards can cause unpredictable roof snow melt, as snow becomes unevenly distributed. It can also cause overload and failure of the snow guards.You must consider snow load, roof pitch, panel rib or seam spacing, and eave to ridge distance to properly determine snow guard number, design, spacing, and placement. The MCA’s (Metal Construction Association) Qualifying Snow Retention Systems for Metal Roofing is an industry consensus document to help guide consumers, architects, specifiers and installers in choosing and implementing a properly engineered snow retention system. 3. My roof has multiple planes, and I think I know where the snow will fall off. Multiple designs exist for snow guard installation, depending on design snow loads and roof geometry. Snow doesn’t always come from straight above either. It blows from trees and from higher roofs to lower ones. Poor snow guard arrangement can force snow to shed where it is unwanted, magnifying consequences. 4. Aren’t all metal roof snow stops the same? No. From metallurgical incompatibility, to material degradation and yellowing, to warranty violations, to removal of protective roof coatings, and more, there are pseudo-snow guard-solutions out there that can be more damaging than helpful. Our FAQs have excellent answers to some of the most common snow guard questions. Contact tech support for additional assistance. Snow guard systems are not fail-safe. And all roofs are not the same. Never expose a product to forces which exceed its known point of failure – especially when these forces are predictable and can be calculated accurately for any specific application. But customization doesn’t mean complication. All products have a maximum stress point, so the snow retention system you need must be customized from specific information of the roof(s) in question. That information varies from one roof to the next. The specific snow load forces must be calculated and properly applied to actual tested product capacities to ensure the right application for the right conditions. This is what is meant by an “engineered” system and is what our roof pitch snow guard calculator does. You might be tempted by those “oh-so-easy” to install adhesive-mounted snow guards. Don’t give in! invest in an engineered and tested snow retention system to protect your roof. S-5! solutions offer better holding strength, better color retention, and user-friendly installation. And when compared with other fence-type systems on a cost-per-foot basis, our tested and engineered systems can be several times stronger than other alternatives. In addition, when compared to glued cleat-type units, pound-for-pound of holding strength, our systems cost much less than the plastic parts. 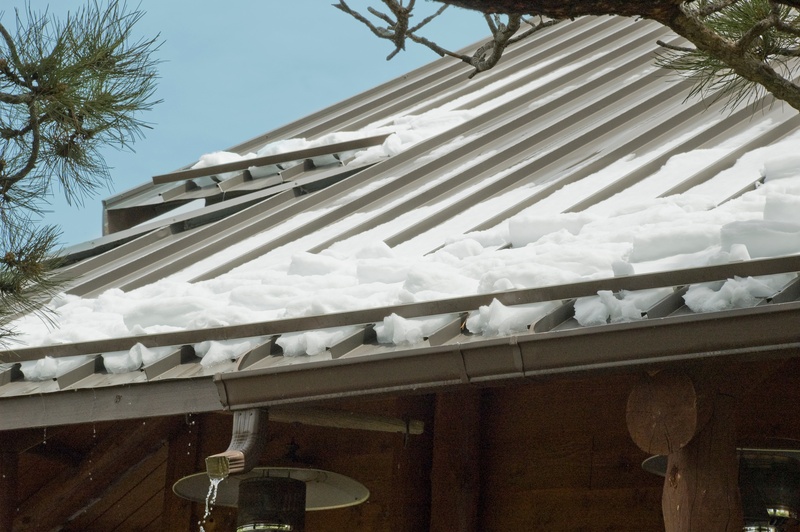 The unpredictable nature of snow melt on a metal roof is, well, unpredictable. But there is indeed science behind it. And a quality snow retention system will help preserve your roof and allow snowpack and meltwater to exit the roof in a more controlled manner. Stay tuned for Step 2 in our series featuring the S-5! Snow Guard Calculator. In the next blog, we'll explain how to use our calculator and get your snow guard project off the ground and onto your roof!